RIGHT CONTROL & INSTRUMENT is the name, which has been trusted for the trading and supplying of precision-engineered Emission Analyzers. Known for their working efficiency our Emission Analyzers are designed by experts with utmost care. We have carved a niche amongst the most trusted names in this business, engaged in offering a comprehensive range of Otoacoustic Emission Machine. Continuous stack emission analyzer based on NDIR /UV technology for measurement of 1 -6 gases from NOx, No2 502, Co, Co2, NH3, HC L, HF, HC, C H4, BTX etc...from emission. 02 by paramagnetic/zirconia measurement. 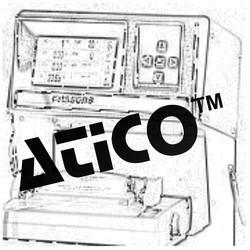 Abiding by the ethical norms of the industry, we are engaged in manufacturing and supplying Testo 340. 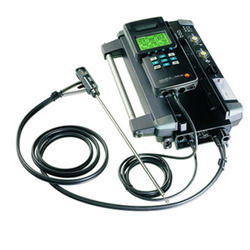 The analyzers offered by us are ideal for monitoring thermal systems using emission measurements. In addition to this, the unique measuring range extension facilitates unlimited measurements even at high gas concentrations.